Students will receive intensive training in baking and pastry arts fundamentals; the goal is to prepare interested applicants with the high level of expertise necessary to become a professional baker or chef Patisserie. This diploma course is taught by experienced teaching professionals in this specialized field. 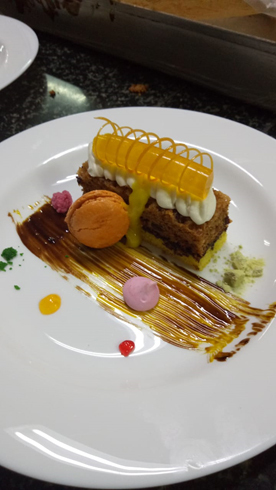 Along with learning the fundamentals of Patisserie and baking techniques, students can develop the skills necessary to create magnificent show pieces and displays. Decorating cakes will range from simple royal icing to decoration of wedding cakes. Students of Diploma in Pastry and Confectionary program will receive the training necessary to work in hotels, resorts, restaurants, catering, bakeries, cruise ships, and any other venue where quality baked goods and pastries are produced. There is no better way to learn the craft and art than to practice it daily to perfection. Individual classroom education is limited and rotated with apprenticeship at Bakery outlets and Hotels. You will study individually with assigned tutor/mentor in your chosen field while you are at work. Total academic hours of study on training the basic concepts in Pastry arts will depend on the student’s requirement. Student assessment and evaluation will be done by assigned tutor/mentor by way of conducting tasks, assignments and project work. Study hours are not compulsory for skilled workers and if industry demands them on work spot. But total study will be given by your mentor at your convenient time intervals as well as the convenient time of mentor. But finally your mentor should certify that you have undergone theoretical training in related to your work experience and apply the knowledge to your work. This course is based on proven large Bakery Factories training models–guided by expert and experienced top Bakers. The students are already employees in Bakery shops and can use their work experience as the practical training and provide us the training certificate from the place where already they are working. To enrol as students to our programs, the applicants should have minimum 2 years’ experience in their area of operations and also they should be working during the course period. The students are advised to do project work as part of the curriculum based on their experiences in academic and industrial work experience. This project will enhance the individual’s creative aspect in Pastry arts. This project report should be precise and should not be more than 25 pages and should be submitted in pdf file to the mentor assigned to him. The project topic should be related to the student specialization and should be presented in professional way. The curriculum is designed to teach the basic skills and knowledge of Pastry and bakery preparation in International reputed Bakery units through theory and applying it in practically during work and enriches the student with high knowledge of technical art in pastry and bakery production. 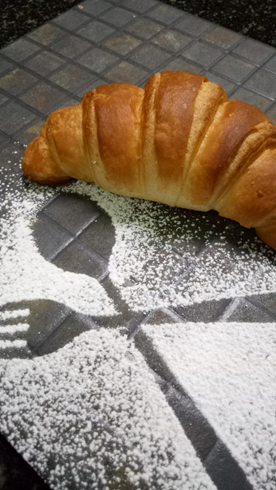 Good English speaking Bakery staff with in-born passion for baked products, systematic and steady-minded, and who enjoys in meeting various guests and provide them excellent products from their oven. Minimum two years work experience in production outlets is highly essential. Please go through our enrolment procedure and enrol for a career by doing something you love.